How would you live your life if you know when your last day will be ? that’s a very basic question but a very profound one and a question we should all be asking ourselves and each other.i was recently speaking to a friend of mine and he told me a sad story that will touch even the toughest of hearts,his brother a very healthy vibrant 65 year old suddenly began losing lots of weight and the doctors immediately thought it was due to him getting diabetes and began treating him for that disease but his condition continued to deteoriate and upon further tests they discovered a very serious form of cancer that was very hard to detect and was so advanced that there was nothing the doctors could do to save him and advised him to get his affairs in order because the end was near,this all happened in a matter of weeks and today his family is making funeral arrangements for his departure. 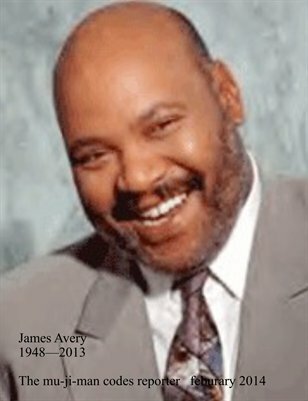 So again I ask the question,how should you live your life knowing when your last day will be ? we all know that day is coming and most of us choose to ignore the thought of it and some how hope it will pass us by yet we know in our heart of hearts that it wont.so I will like to invite you the reader to take the time to learn about the mu-ji-man codes to learn more about all the information encoded in your birthdate. Hate,anger,greed,ego,envy,and lust are the main corrupters of the human heart and a corrupt heart ,people or nations are the sources of all the miseries that humanity continue to experience to this day.we were not born with these things embedded in us but instead we picked them up from our environment much like a driver will pick up a hitch hiter along the road,and so too we should daily drop them off along the way as we would any hitch hiker so we may continue on our journey. No one knows the exact moment of our very first heart beat or the precise moment of our last heart beat only our creator knows that ,but we all know and have a good idea when we were conceived and now too we can know or have a good idea of when we will die,using the tools of the mu-ji-man codes.so in the mean time lets all be kind to ourselves and others ,realize that we were all born hageel free and by striving to die hageel free we will leave a better world for those that follow us. Possession of A H-a-g-e-e-l free heart is the source of true love,genuine joy and complete heavenly bliss here on earth and every other plane of existence,today is the beginning of the rest of your life so don’t delay make the pledge to be free, eliminate H-A-G-E-E-L from your life. How will you choose to live the rest of your life ? is the way to be. The mu-ji-man codes will like to extend condolences to the family and friends of mr Tom foley,ex speaker of the house of representatives who died this week October 18,2013. Mr. Foley was the 57th speaker of the house and enjoyed a very long political life,mr. Foley also served as us ambassador to japan for four years during the Clinton administration,he was 84 years old. He was replaced as speaker of the house by his nemesis, rep.newt Gingrich a Georgia republican,who later called washinhton state the “ground zero”of the sweep that gave republicans their first control of the house in 40 years. With the recent spectacle of the past few weeks with the politicians in Washington d.c. and the current venomous attitude that exist between the two major political parties in Washington it will great if they would learn something fromold hands like mr. foley who had a seemless knack for building consensus on both sides of the isle. According to the mu-ji-man codes system mr Foley was coded to die at the age of 84 based on the data encoded in his birth date and as you can see he departed at 84 years old,so even in death it seems that he lived up to his end of the deal. I will like to begin by saying that I am not a follower or devotee of sathya sai baba but I have been an admirer of him since I first heard of him about eight years ago ,I was on my way to visit him in india in 1998 when that trip was interrupted by a more pressing issue,so I never got the opportunity to meet him personally but on a spiritual level I have been in his presence.Regardless of your religion or etnic background I recommend that you familiarize yourself with sathya sai baba because I believe he was truly the example of what a human being should aspire to be. Today sathya sai baba is no longer amongst us on a physical level but his spirit and multitude of good works are still evident all over the world through the millions of devotees and countless schools,hospitals and organizations he built during his life time. I am writing about sathya sai baba today because I am constantly replaying that prediction he made about his death when he was still a young healthy man,a reporter or one of his devotee asked him if he knew when he was going to die and without hesitation he responded that he will leave this earthly plane in his 86th year,at the time I was fascinated by his answer because I wondered how could he know that and his reputation will be tarnished if his prediction did not come through,the reason this is so significant is because this is a prediction he made well over thirty years or more,way before I had anythought of the mu-ji-man codes ,so naturally after I came up with the mu-ji-man codes theory I had to run his data through the mu-ji-man system to see if his data was encoded into his birth date and according to the official records he died at age 85 and I even read on the internet an article by one of his detractors that he was a fraud and cound not even get his death prediction right ,but according to my mu-ji-man codes analysis he was exactly right he did depart this earthly plane in his 86th year and it is clearly written in his birth date as well as his name chart ,so today I am still an admirer of sathya sai baba and respect all the good he has done in this world and the light he passed along to all his devotees world wide. 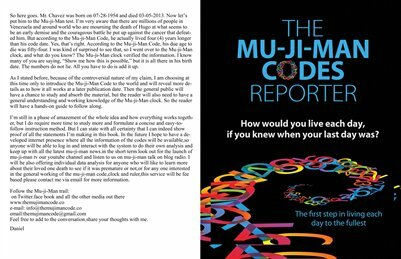 the mu-ji-man codes will like to extend condolences to the family of mr tom clancy,he will be missed by his family,friends and legions of his readers.as we all know tom died on wed oct.01,2013 at the age of 66.
the mu-ji-man codes revealed that his coded age was 63 so he actually lived 3 years longer than he was coded to i hope his friends and family will find some solace knowing that he lived a little longer than he was coded to,which meant that he took good care of himself some where along the line.lets all wish tom a safe and peaceful journey.